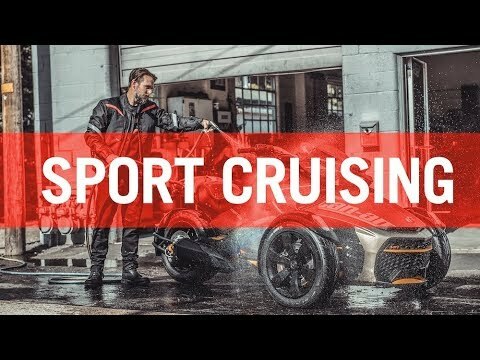 Hit the open road with the Spyder F3-S and when you want to turn things up a notch, the low center of gravity, higher-performance shocks and Sport Mode are ready. A PERFECT FIT: The exclusive F3 UFit system lets you easily position the footpegsaccording to your height and choose the handlebar based on yourpreferred riding style. It ensures a truly customized riding experience. *Custom handlebar sold as an accessory. 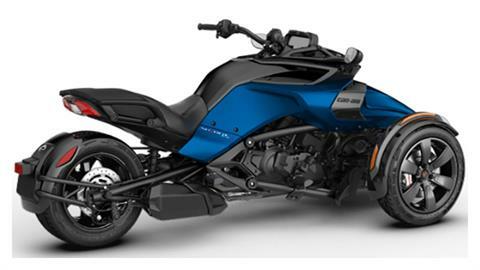 FUN-FACTOR UNLEASHED: Turn on Sport Mode and feel your adrenaline surge as you tame twisting roads or perform controlled rear tire spins, all while maintaining your balance and peace of mind. It’s our most permissive stability system setting yet. MAXIMUM INFO. 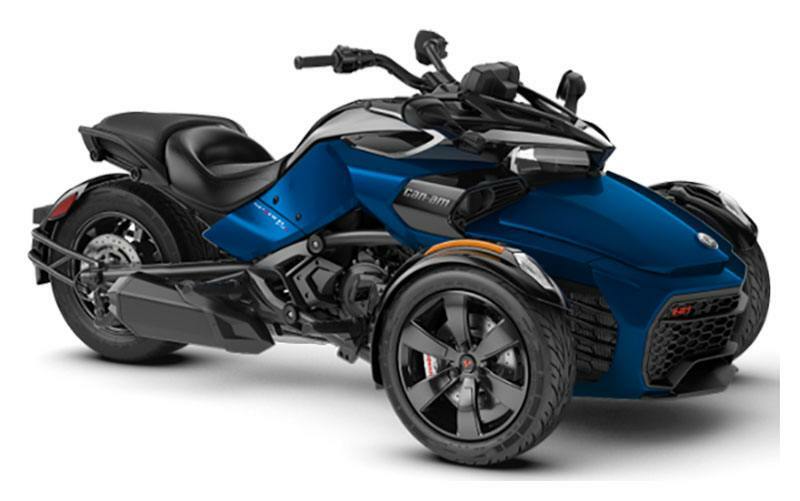 MINIMUM DISTRACTION: The new Can-Am Spyder F3-S digital gauge is a full 7.6 in. wide, letting you see everything at a glance, including tachometer, odometer, trip and hour meters, gear position, temperature, engine lights, fuel level and clock. POWER = FUN: As soon as you twist the throttle, you'll feel the power kick in. The Spyder F3-S features 115hp (10hp more than the base F3) and 96 lb-ft of torque. It has the best power-to-weight ratio in the Can-Am Spyder lineup, which is perfect for spirited riding or a relaxing cruise down the highway. THE DIFFERENCE IS IN THE DETAILS: New wheels feature a deep black high gloss finish for an ultra-premium look. Main Functions - Speedometer, tachometer, odometer, trips, gear position, distance to empty, engine lights, fuel gauge, clock, ECO mode and Sport mode.